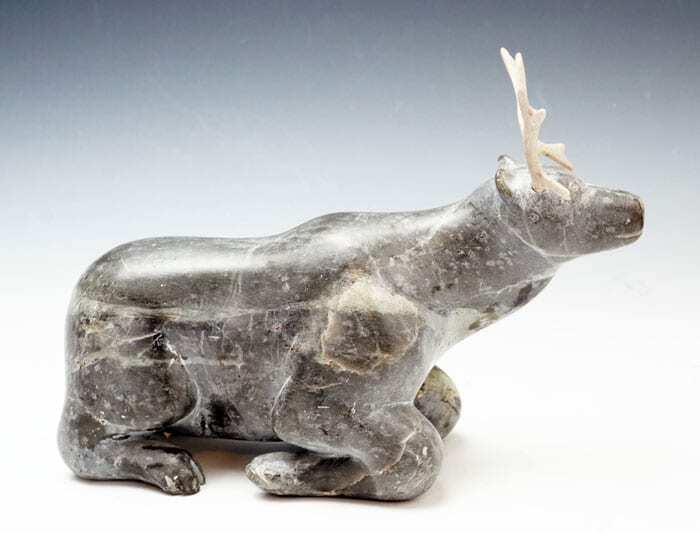 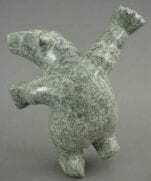 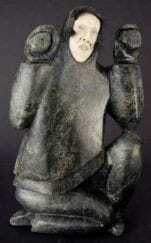 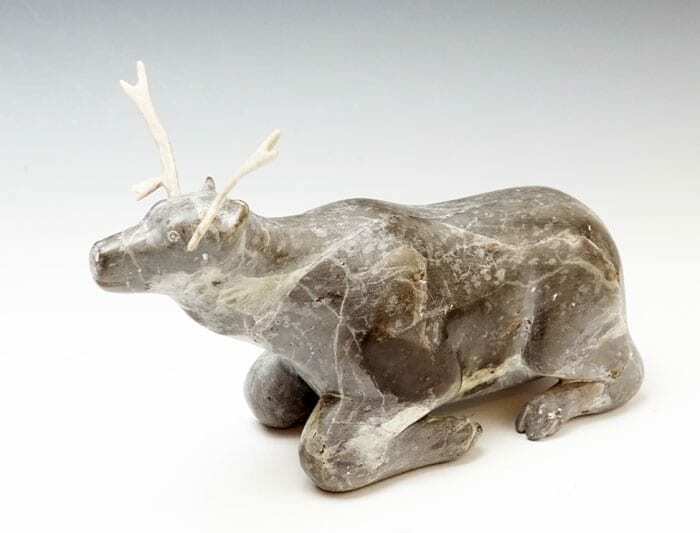 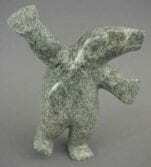 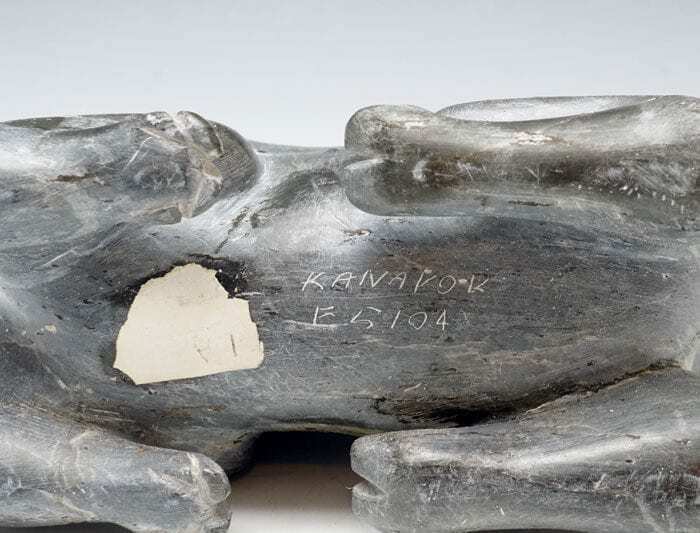 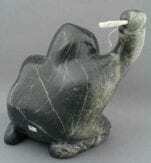 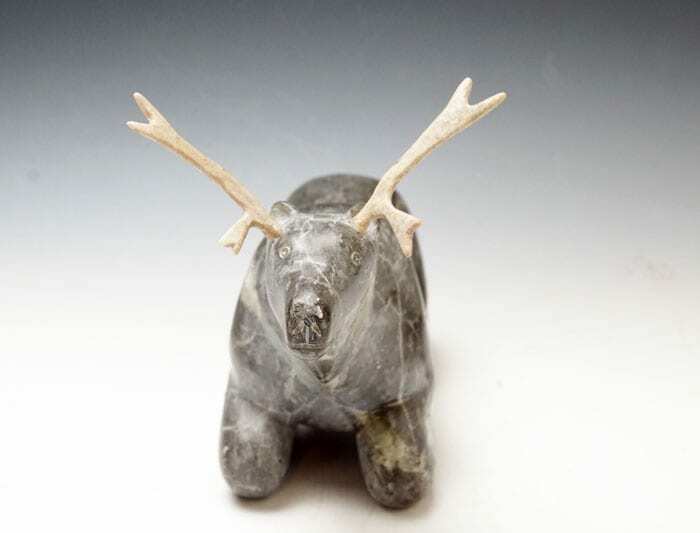 A handsome caribou resting on its haunches, carved by Arctic Bay artist Seemee Kanayuk (born 1938). 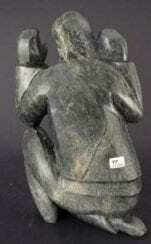 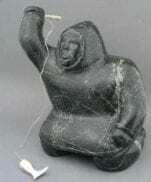 c. late 3rd to 4th quarter, 20th century. 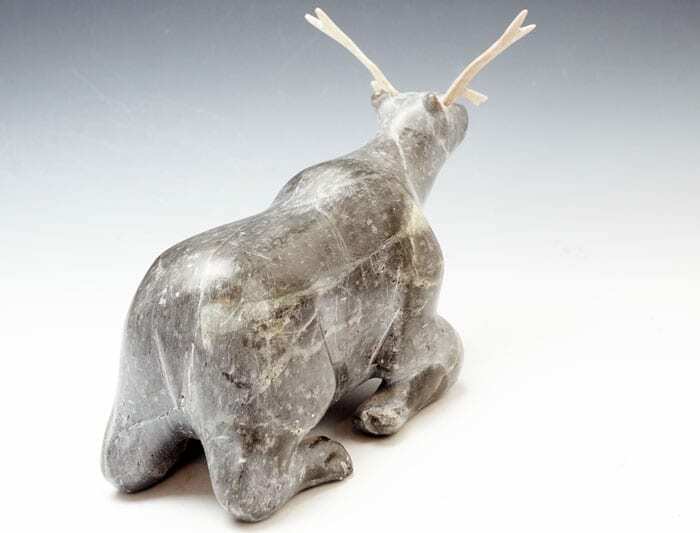 The antlers, made from actual caribou antler, are replacements for the missing originals.